The Good. Agent retention is up from previous months, reportedly as the youth we’ve recruited are enjoying the culture and the sales job. We are working on what it means to get more of the ‘right people’ through our recruitment efforts. In training, agents are being encouraged to go out independently as opposed to going out in groups, which appears to be working. A few agents have shown significant increase in sales less than a week after going out independently. The Challenges. We have seen our bulk sales to businesses drop in recent months because these ‘re-sellers’ are obtaining better prices and deals from competitors. As these sales can represent a large chunk of our total sales in a good month, we have to work on our wholesale pricing. 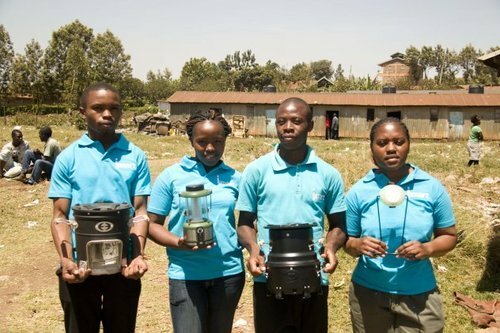 New sales agents heading out in the field to sell some cook-stoves and solar lamps!